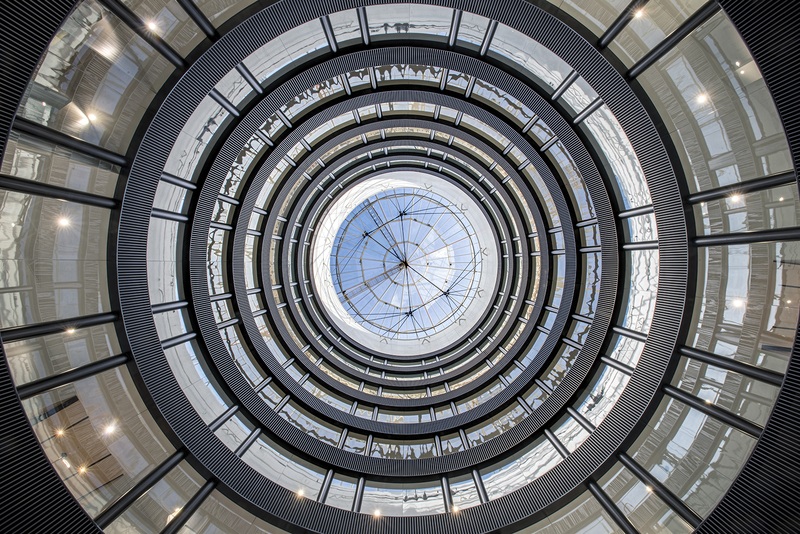 I recently photographed The Minster Building in London, which is the latest financial district property to be transformed. 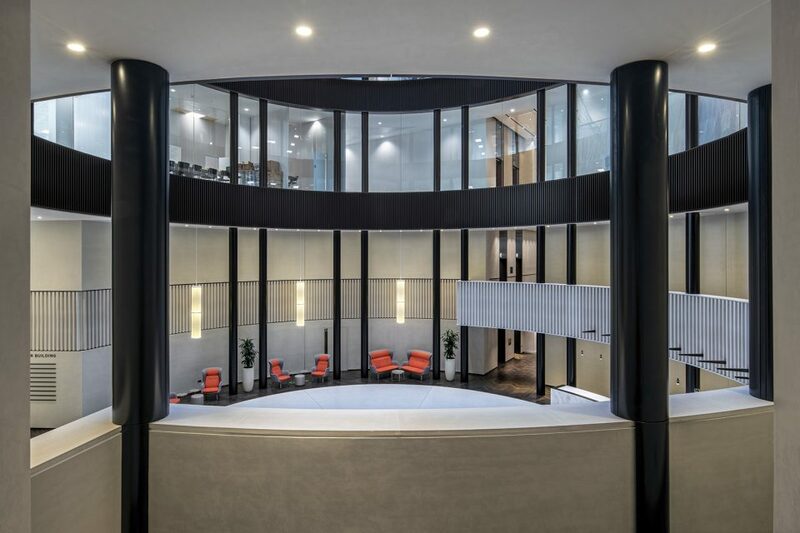 It now offers a rejuvenated, premier environment showcasing Grade A facilities, as well as nurturing a much sought-after work/life balance. 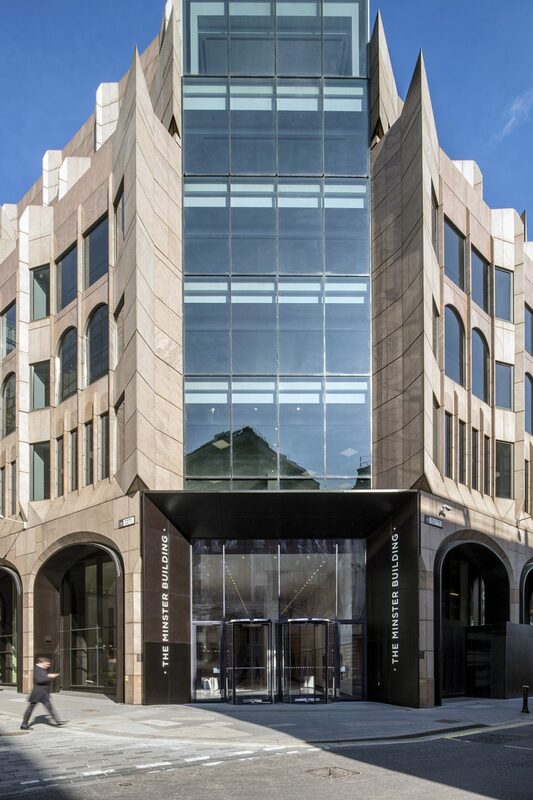 Originally built in 1992 to designs by GMW Partnership, The Minster Building has an incredibly striking pink marble neo-gothic façade. 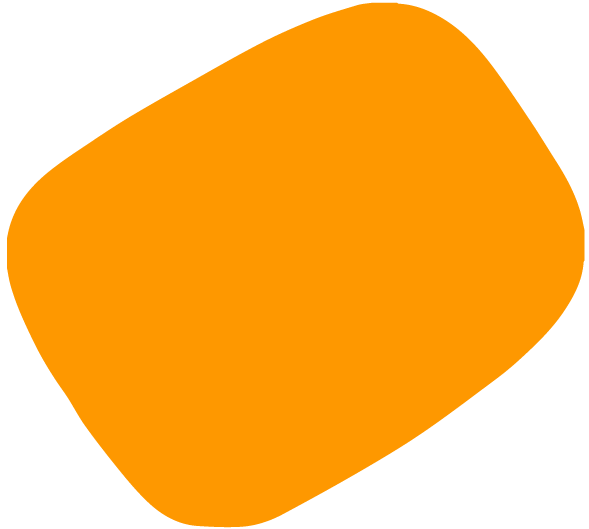 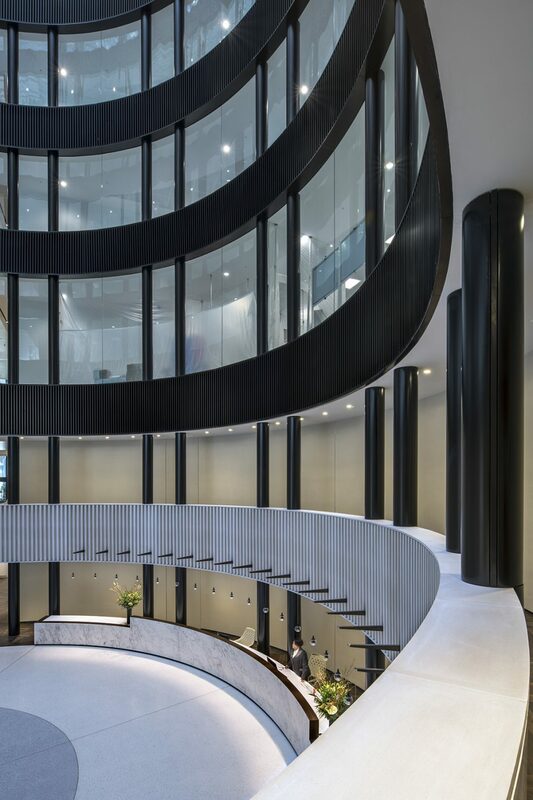 BuckleyGrayYeoman are behind the recent redevelopment, as commissioned by Greycoat Real Estate and Ivanhoe Cambridge, which involved shifting the original entrance on the corner of Mincing Lane and Great Tower Street. 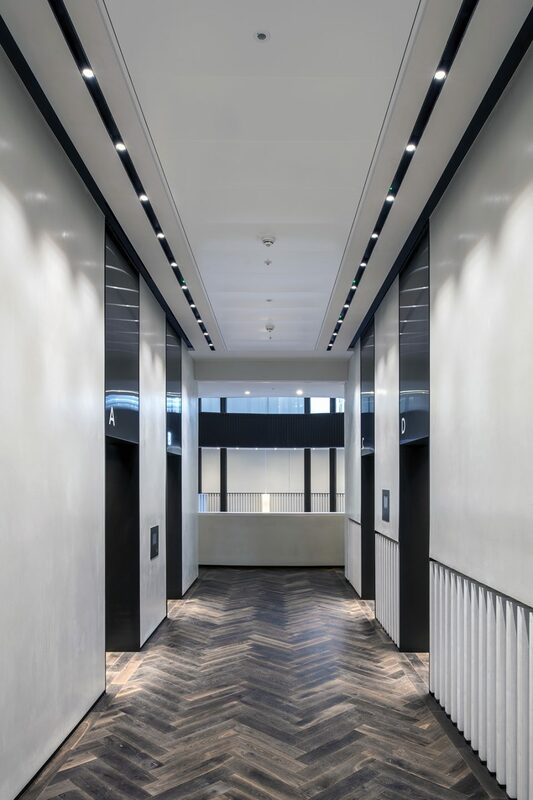 A new 30 metre long boulevard leads directly to the reception where there was once the longest run of escalators in Europe. 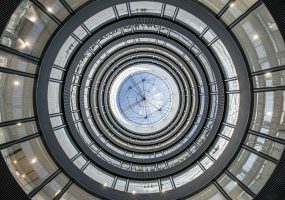 These have now been removed and replaced with an eight-storey central atrium, around which the offices are arranged. 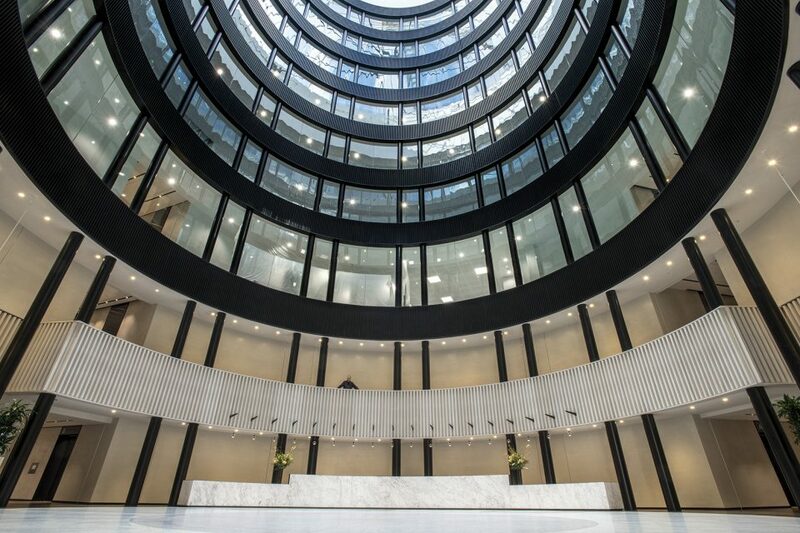 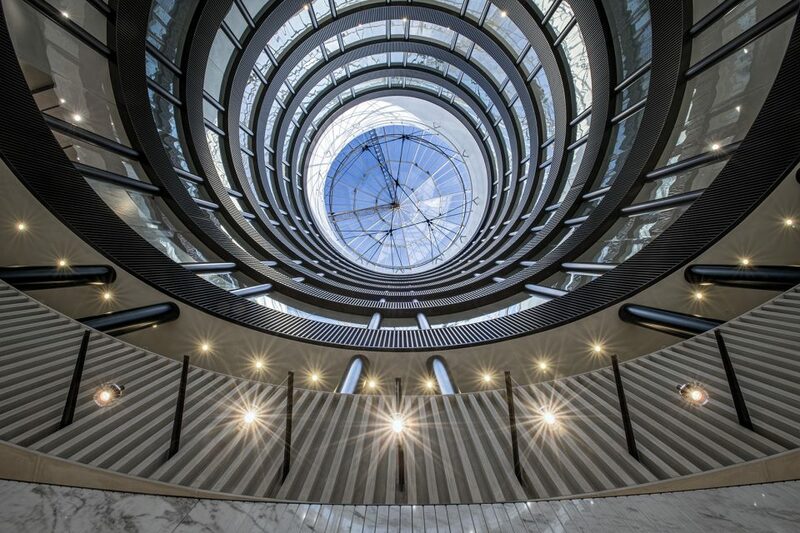 The new atrium sets the tone and material palette for the rest of the development, with curved glazing, textured jesmonite panels, marble and bronze combining to create an opulent, airy and uplifting ambiance. 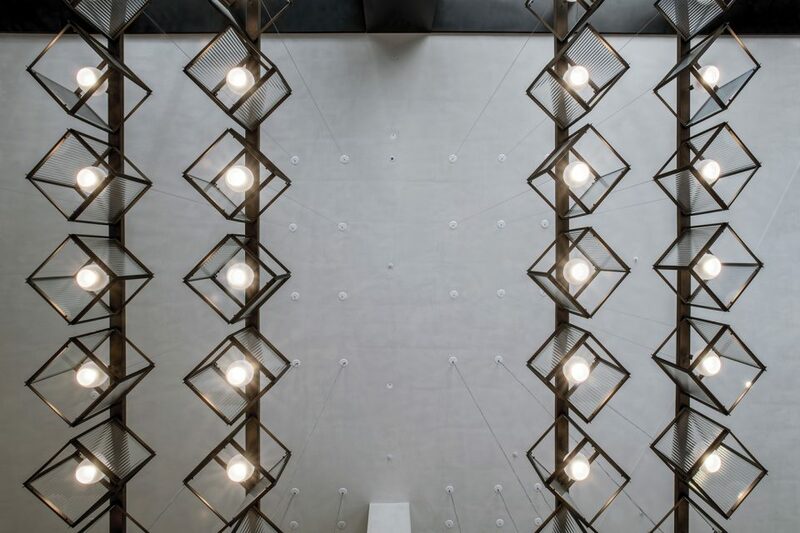 It is not often my brief includes the suggestion to look up and listen, but it is understandable when entering the space. 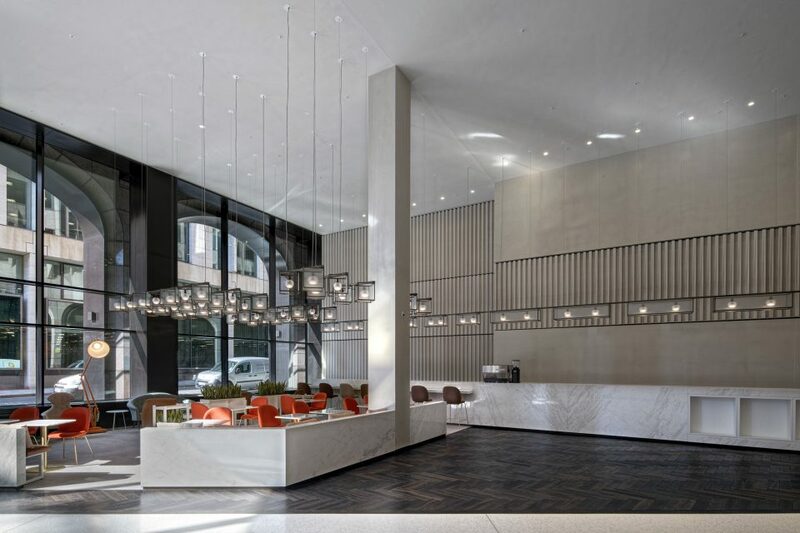 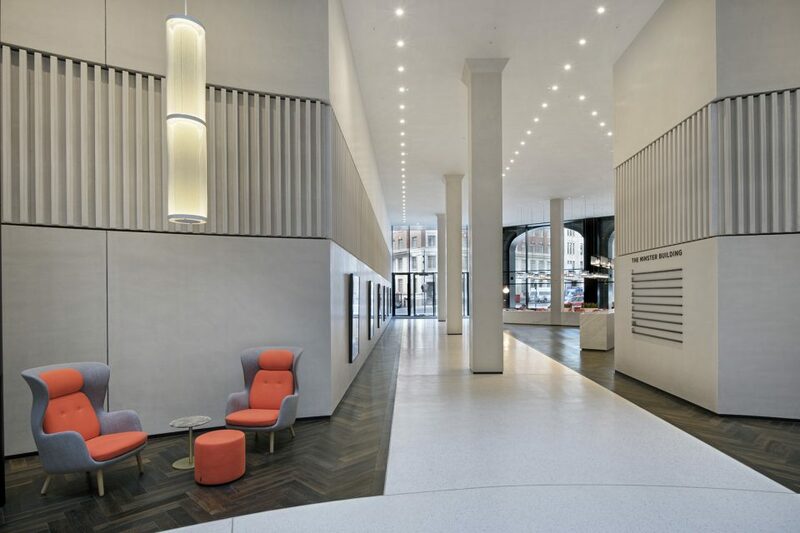 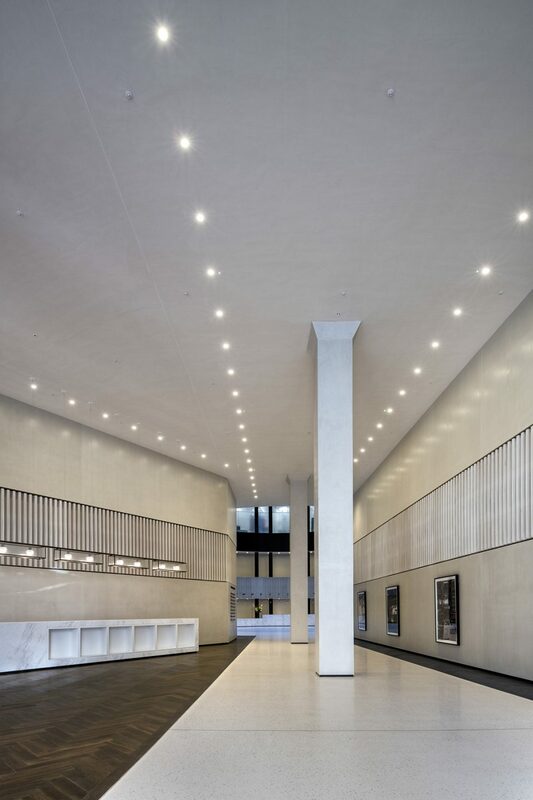 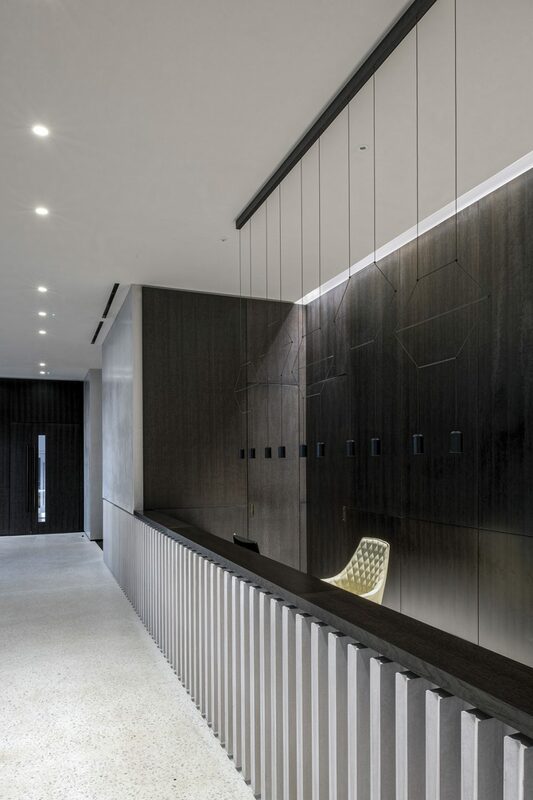 Throughout the entrance and reception, the walls are hand-finished in nearly 2,000m2 of Armourcoat’s polished plaster together with over 600m2 of the company’s Acoustic Plaster System applied to the ceilings. 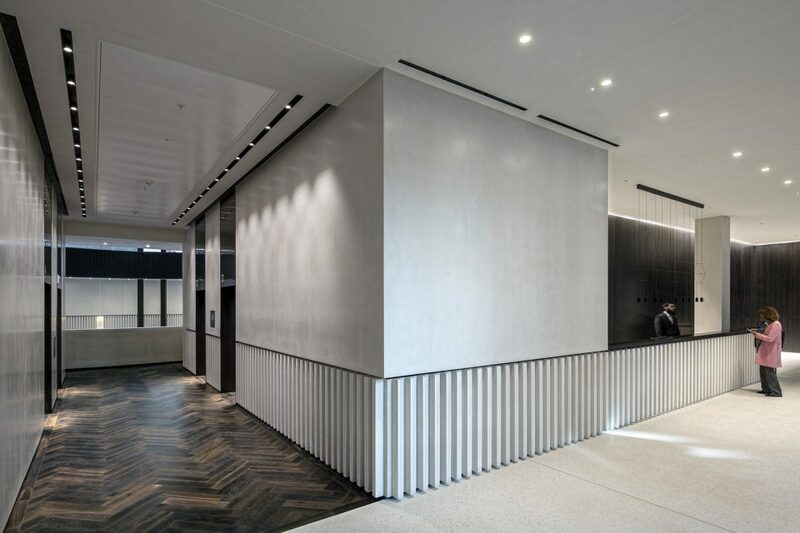 Designed to optimize the acoustics of interior spaces, the Acoustic Plaster system offers an elegant marble based plaster finish while allowing sound energy to pass through the surface. 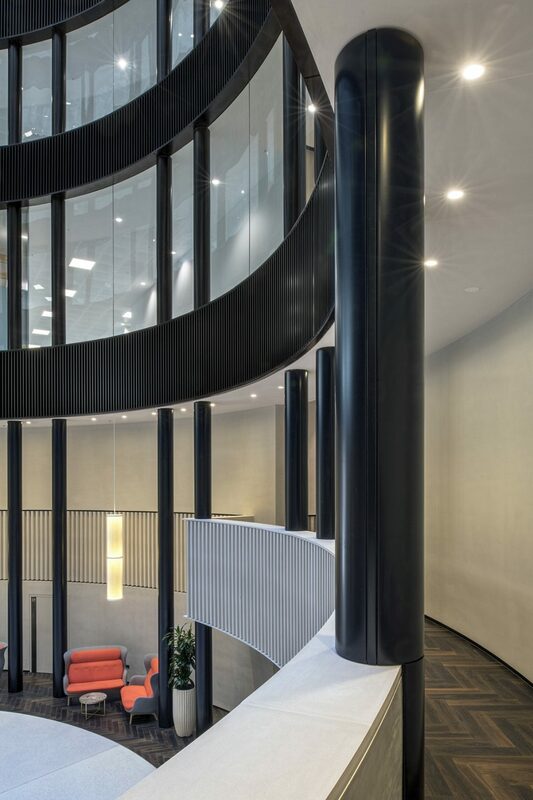 The zero VOC system, which consists of 80% recycled material, achieves class '0' fire rating and a class 'A' Noise Reduction Coefficient rating. 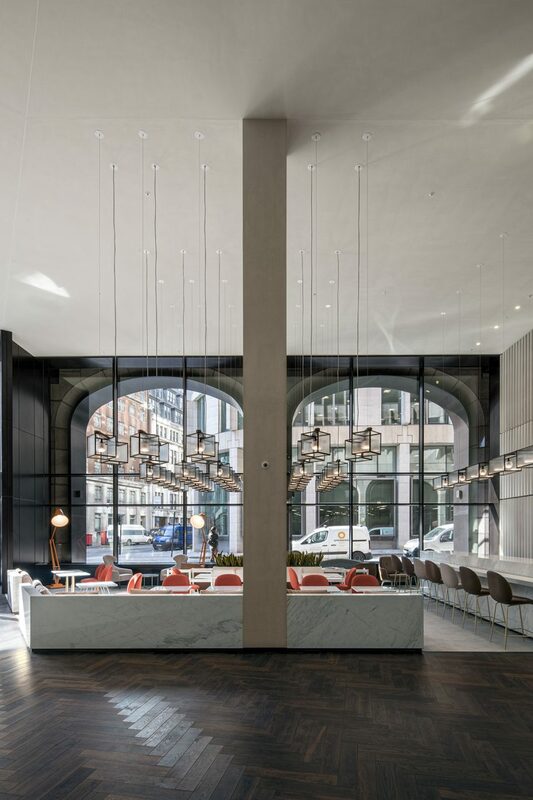 The Minster Building has already attracted some cool new tenants that include The Third Space, which will open its first luxury health club in the square mile, a Crussh juice bar to be near the reception, and Brewdog, whose space will feature a 10 hectolitre brewing facility.